Its highly refined feminine models have long since earned Universal Genève the nickname of "watch couturier". Today, the brand is linking up with this same tradition again by launching a cuff watch which is both simple and sophisticated at one and the same time. The case and bracelet are in polished steel. 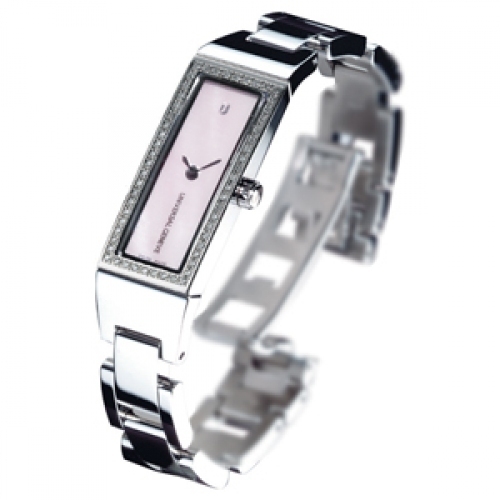 The subtle shades of the dial in pink mother-of-pearl are enhanced by the sparkle of the bezel, set with 56 diamonds.